James D. Atkinson, MD, FACS is devoted exclusively to the practice of weight loss surgery and has used his expertise to positively change the lives of hundreds of patients. He is a member of the American Society for Metabolic and Bariatric Surgery, a member of the distinguished medical honor society Alpha Omega Alpha, a 2002 honoree of "America's Top Surgeons," and a featured physician in MD News. 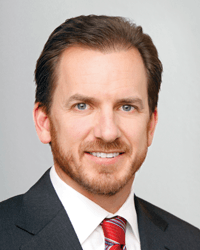 Dr. Atkinson has trained surgeons across the United States in his technique and procedures. A native of Las Vegas, Dr. Atkinson received his bachelor's degree from Portland State University, and earned his medical degree from the University of Nevada. He completed his residency at University Medical Center in Las Vegas, served as chief surgery resident and trained in the specialty areas of bariatric and trauma surgery. Upon completing his surgical residency, he specialized in advanced laparascopy and served as a consultant for Ethicon Endo-surgery. Darren Soong, MD, FACS, has focused his talents on surgical weight loss to help hundreds of patients change their lives. He is one of the most experienced surgeons in the sleeve gastrectomy procedure. He is a diplomat of the American Board of Surgery, a Fellow of the American College of Surgeons and has been voted as one of Las Vegas' "Top Doctors" for four consecutive years by three different publications, including Las Vegas Life, 215 South and Summerlin magazines. A native of Hawaii, Dr. Soong graduated from UCLA with a bachelor's degree in kinesiology, and earned his medical degree at the University of Hawaii. Dr. Soong completed his residency at University Medical Center and served as Chief Resident. 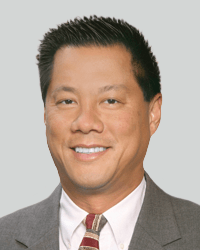 Before specializing in bariatric surgery, Dr. Soong performed a wide range of surgical procedures including general, advanced laparoscopic, burn, advanced wound care, trauma, and peripheral nerve surgery. In addition to his medical practice, Dr. Soong also serves as an assistant clinical professor at the University of Nevada School of Medicine in the Department of Surgery and is a member of the American Medical Association, Clark County Medical Society, Nevada State Medical Association, American Society of Metabolic and Bariatric Surgery, and the American Society of Bariatric Physicians. *Physicians are independent practitioners who are not employees or agents of Desert Springs Hospital Medical Center. The hospital shall not be liable for actions or treatments provided by physicians.